For space geeks, it’s an awesome time to be alive. From the Great American eclipse to Cassini’s swan song, 2017 was a big year for space stuff. And with new, weird exoplanets popping up all the time and propulsion innovations bringing us closer to Mars, the future’s looking equally far out. 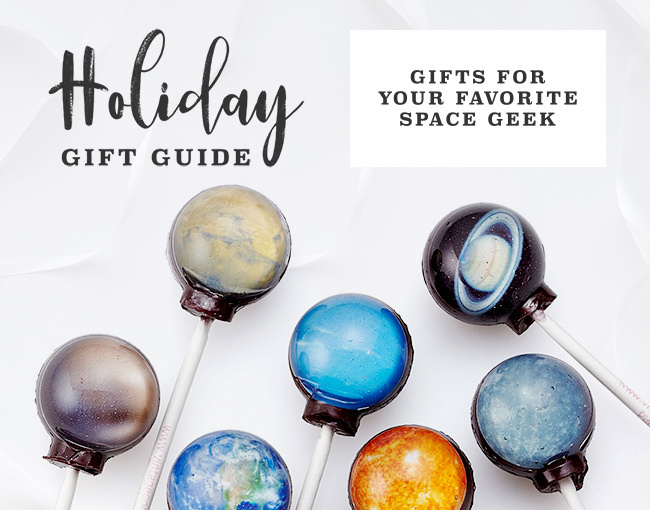 So for all the stargazers on your list, we’ve assembled a constellation of space-inspired gifts to make the holidays merry and bright as Alpha Canis Majoris. 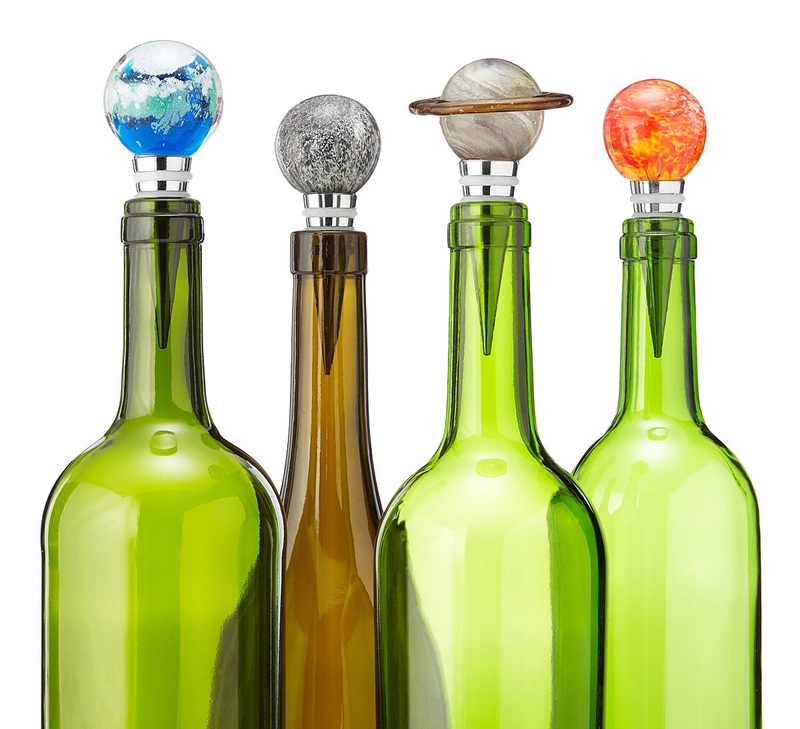 What’s fantastic about the solar system? Everything. What’s fantastic here on earth? Wine. 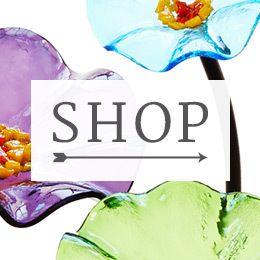 Celebrate both with these luminescent glass stoppers. 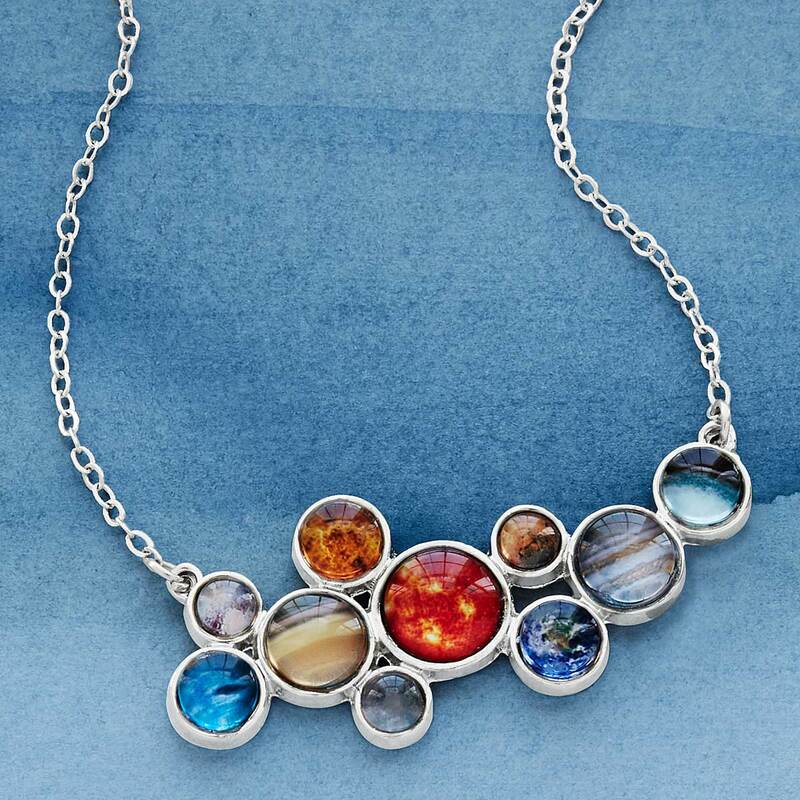 Pair with a laser bottle opener and a telescope. Long gone is the stereotype of the unfashionable geek. In fact, the unfair poorly-dressed geek trope and the modern style-savvy nerd are like day and night. 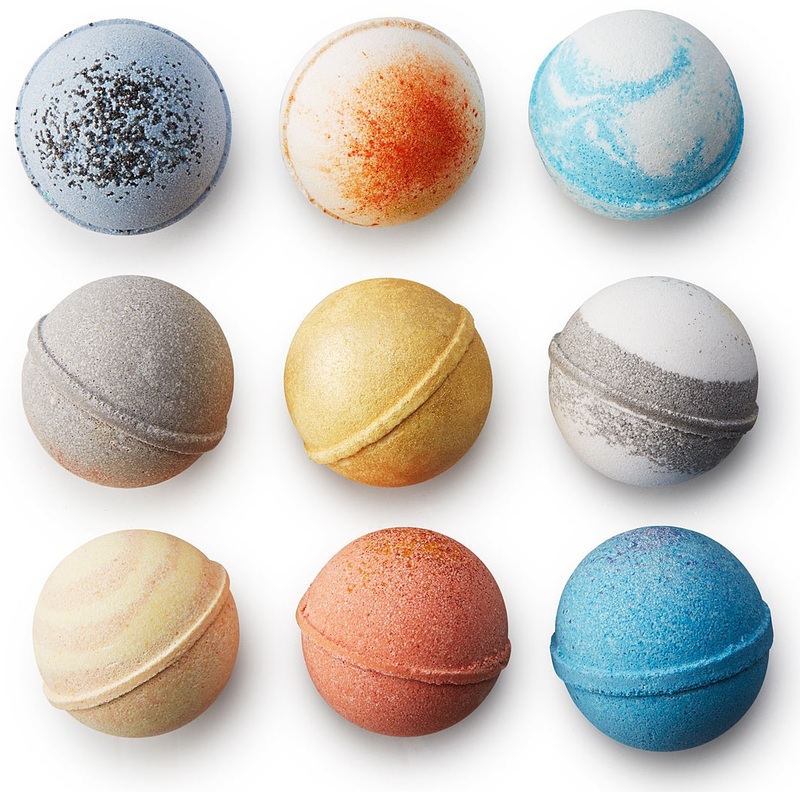 The final frontier in bath bombs, this nine-piece set—eight planets plus the sun—will transport earthlings far away from the gravity of daily life. The Hubble Space Telescope is an amazing, orbiting shutterbug (minus the selfie stick). 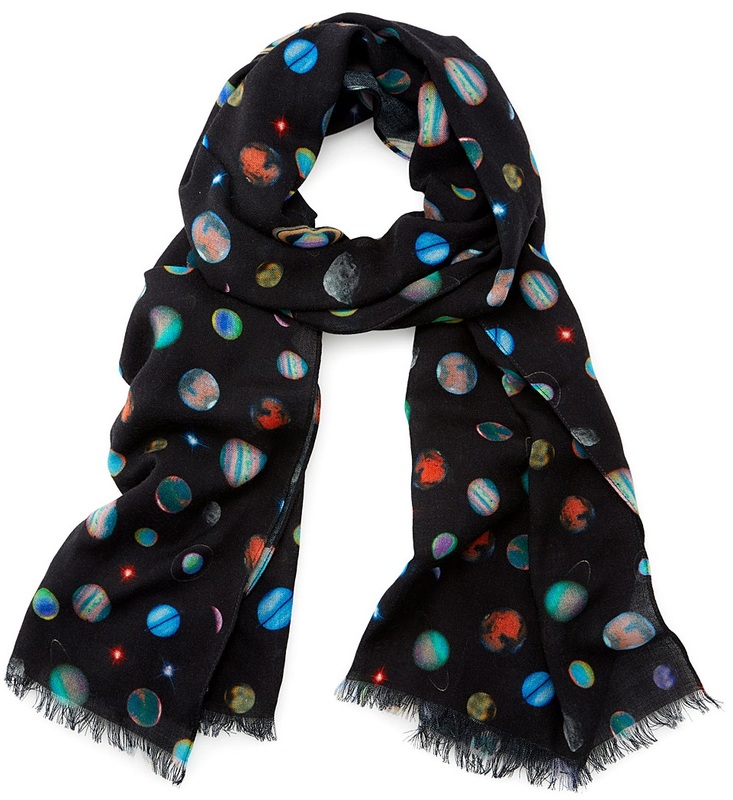 Its vivid images grace this soft wool scarf, a touch of astronomical elegance for any stylish stargazer. 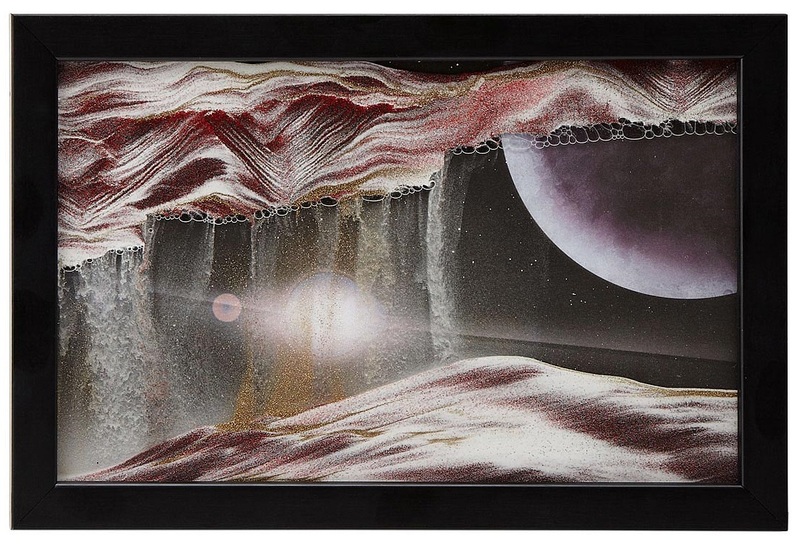 Colored sand, a cosmic backdrop, and standard earth gravity makes this a mesmerizing piece of interactive art. Soundtrack suggestion: Dark Side of the Moon. 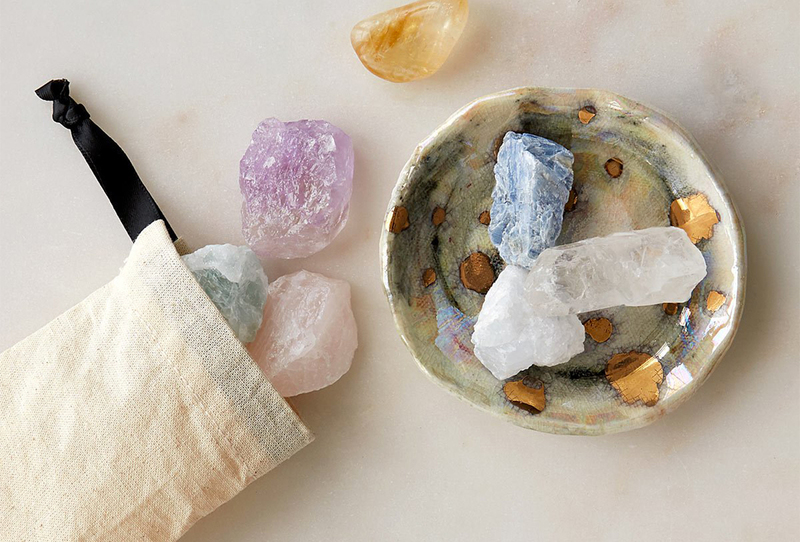 When’s the last time you held a 4.5 billion-year-old piece of the universe in your hand? 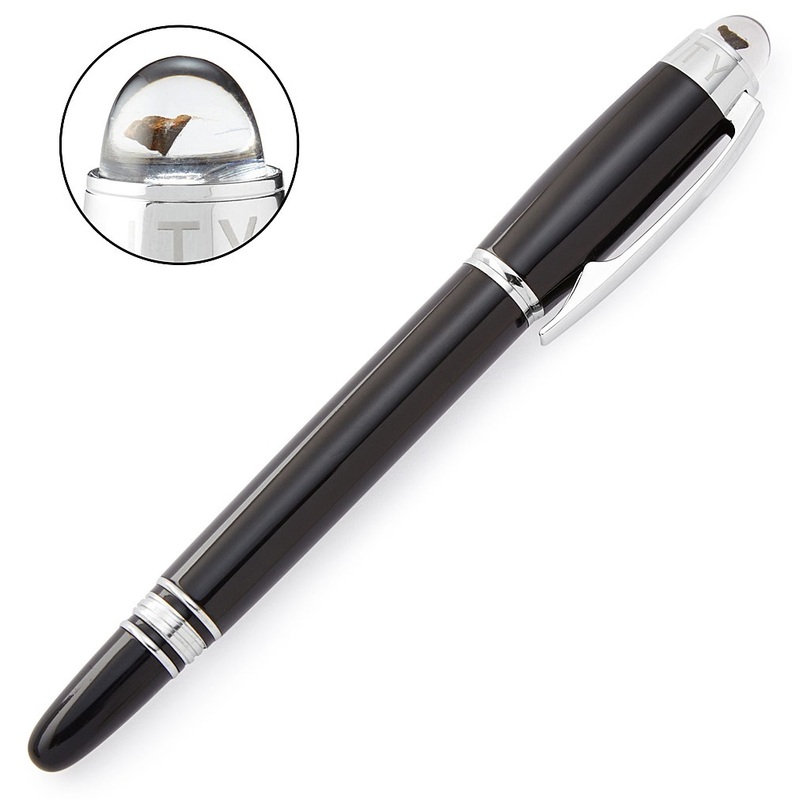 This sleek rollerball’s cap showcases an authentic fragment of the Chelyabinsk meteorite. Astronomers agree on one thing—the universe is an enormous, perplexing puzzle. Try your hand at these tactile brain teasers inspired by cosmic phenomena. 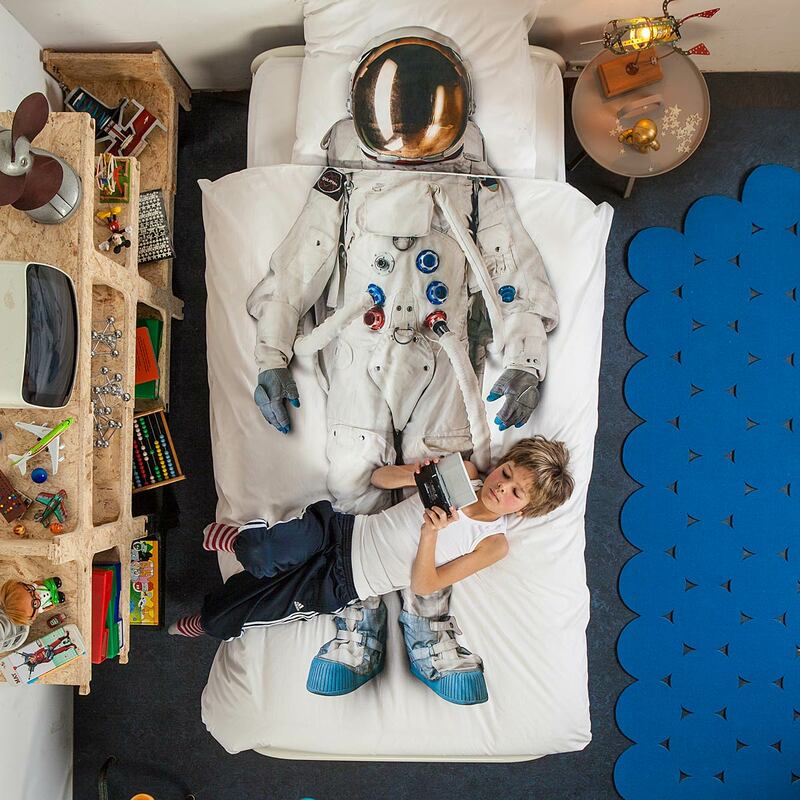 Junior rocketeers on your list can dream of suiting up like Buzz Aldrin (or Buzz Lightyear) with this playful bedding set. Oxygen supply not included. Blackberry, guava, marshmallow, key lime…No, these aren’t part of a new naming system for dwarf planets. 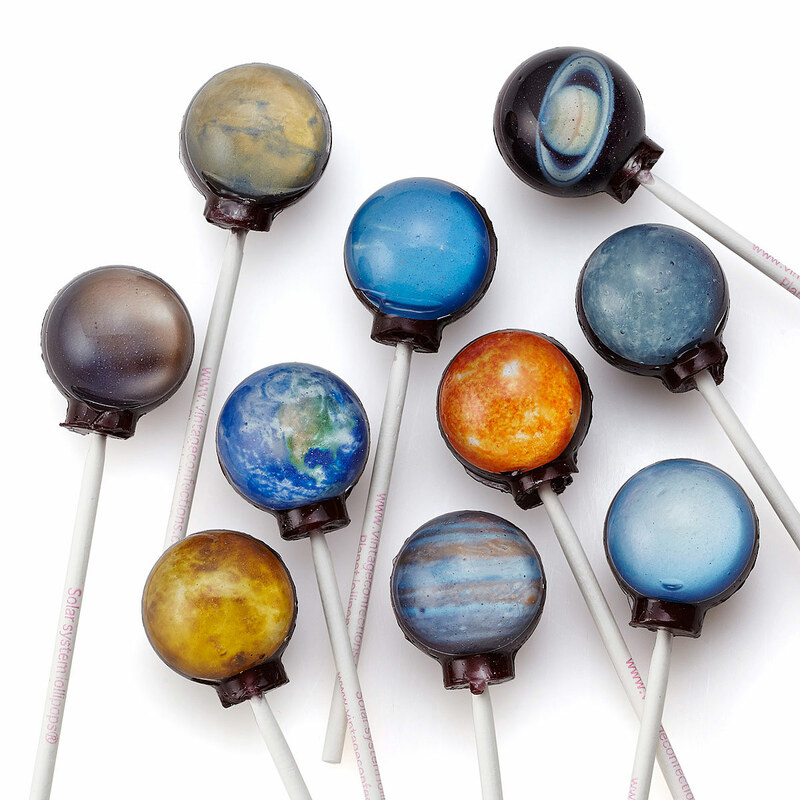 They’re planetary pops (plus the sun) that will satisfy any space geek’s sweet tooth. 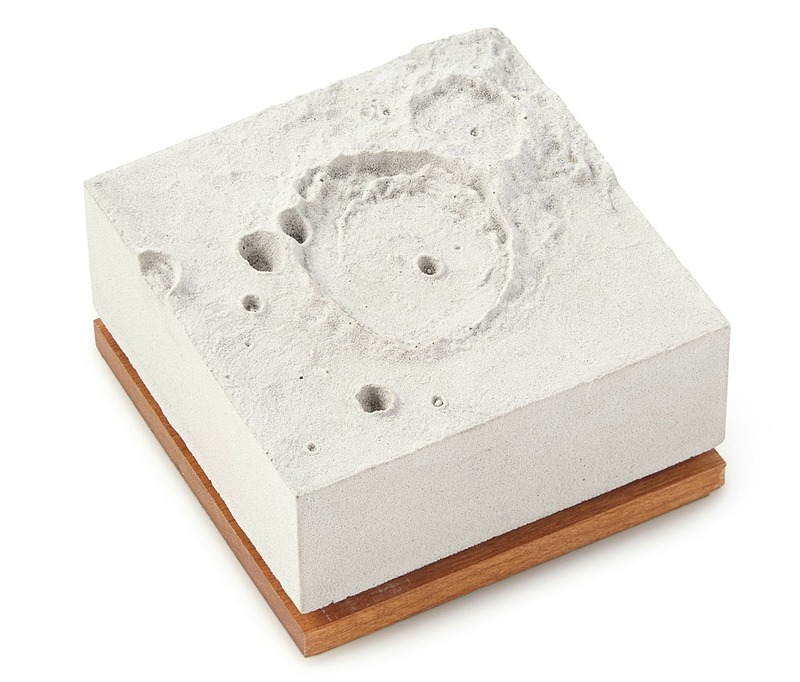 Short of convincing Elon Musk to send them into space to stake out their own piece of lunar real estate, you can give this scale model of the Posidonius crater. One small step toward finishing your list. It’s a great big universe, and we’ve only just begun to explore our own galactic backyard. 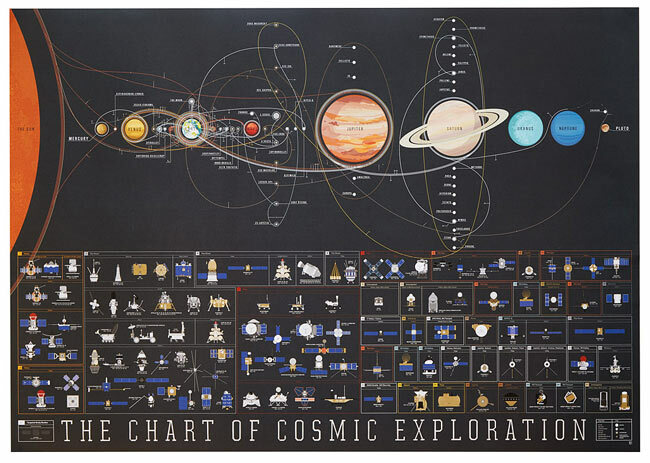 Any armchair astronaut will love this infographic poster illustrating our reach for the stars. 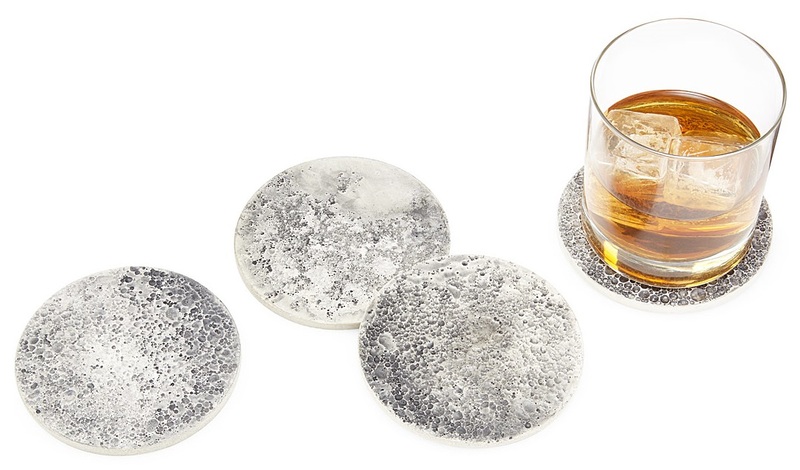 Let them land their drinks in the Sea of Tranquility with this set of four cratered coasters. 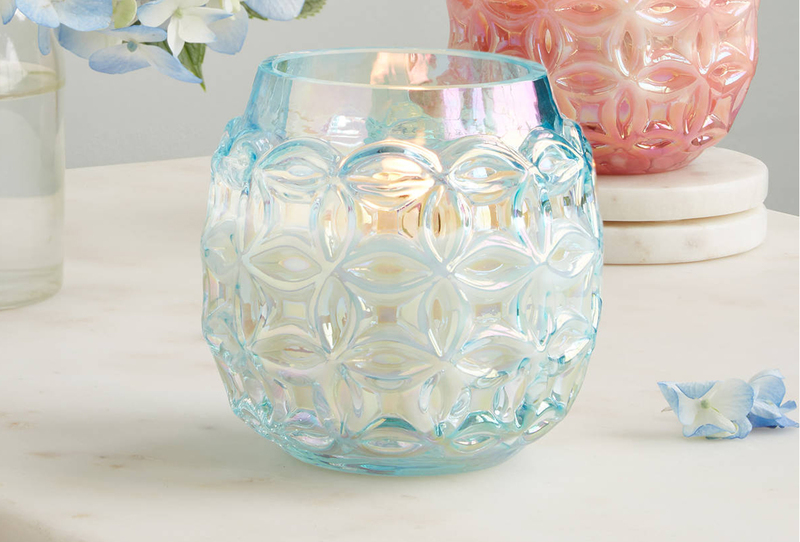 Pair with a small batch moonshine. 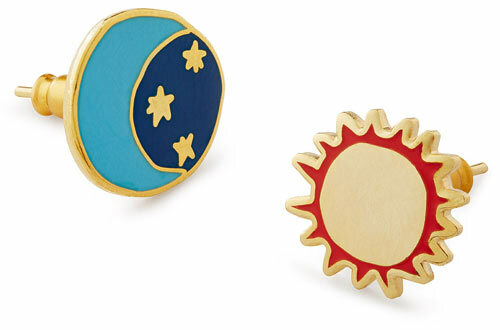 Inspired by our galactic “local color,” photographer turned jewelry designer Lauren Beacham created this wearable tribute to the sun and its nine planets. That’s right, Plutonians—it’s still in the line-up. 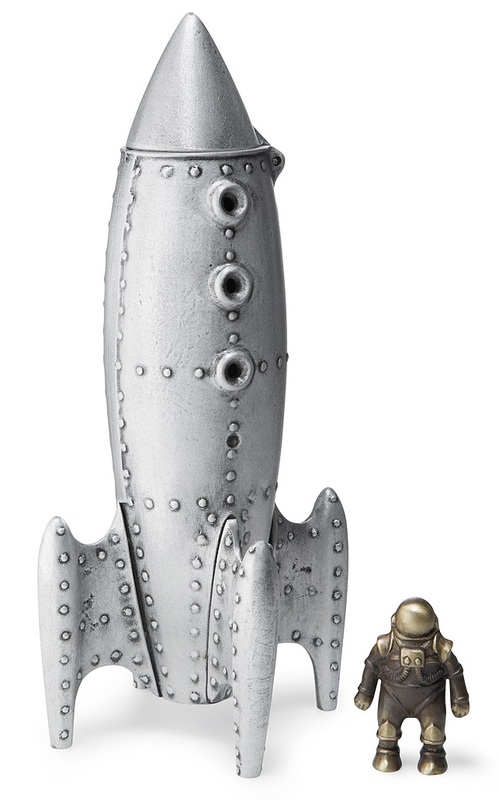 Forbidden Planet fans will love this retro-futuristic rocket crafted from recycled aluminum and bronze—complete with mini metal-naut. 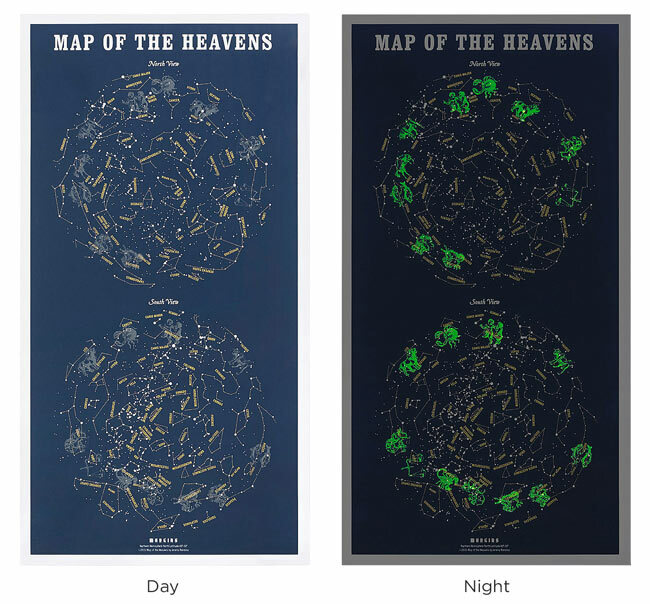 While nothing quite beats a telescope and the real deal, this celestial map is a beautiful tribute to the amateur astronomer’s favorite pastime.